A collection of all photos on the site, of course. 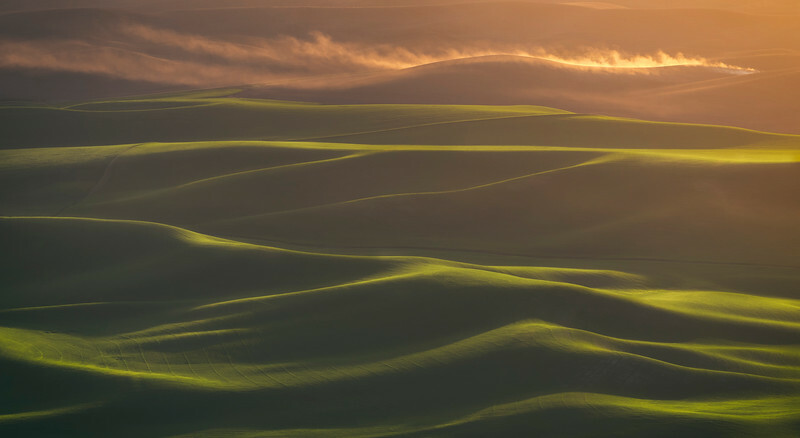 A springtime adventure to the Palouse region of Washington state provided me this amazing sunset - transforming the landscape into a vast expanse of rolling gold and green hills. 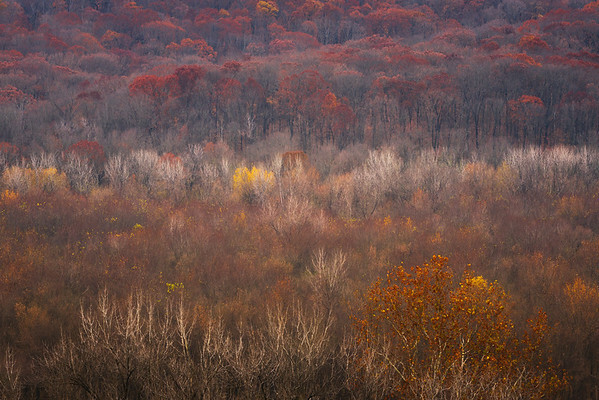 Details of the last bit of Autumn color at Castlewood State Park in my home state of Missouri. 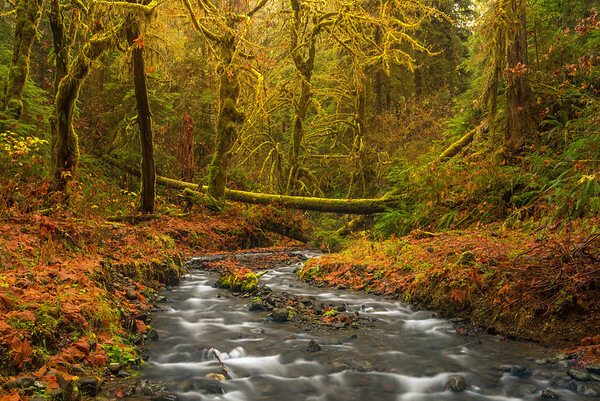 Leaves blanket the forest floor along a creek that feeds into the Skokomish River in Washington. I had never explored this area before so it was incredible to get out and just wing it. No maps, no time frame, just taking whatever trail looked good and experiencing each new scene as it came along. 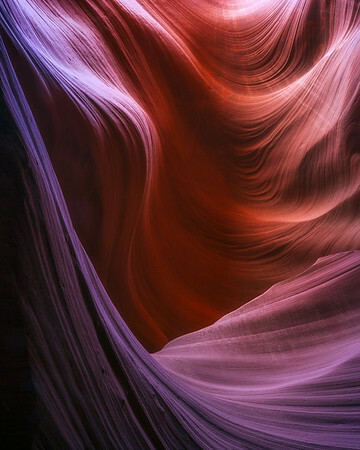 The two hours I spent photographing in Antelope Canyon in 2013, still stands to this day, the most surreal experience I've ever had while photographing. At one point a young Navajo woman was playing a flute while a man was chanting in native tongue. I couldn't see these people but their sound echoed down the canyon walls. 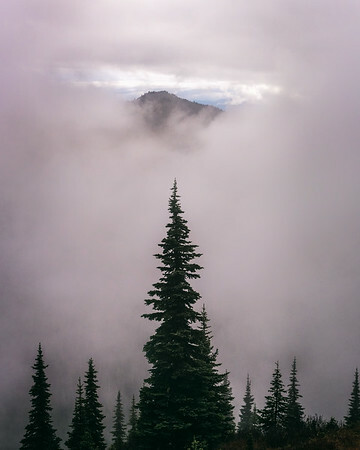 A cloudy, dreary day in Mount Rainier National Park provides just enough atmosphere for a moody image. 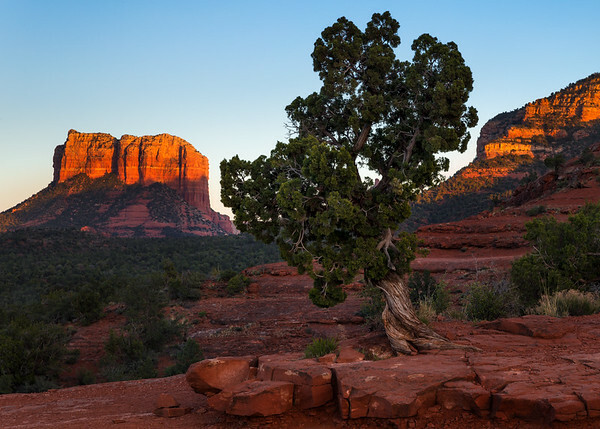 Sunset as seen from the hike towards Cathedral Rock in 2013. 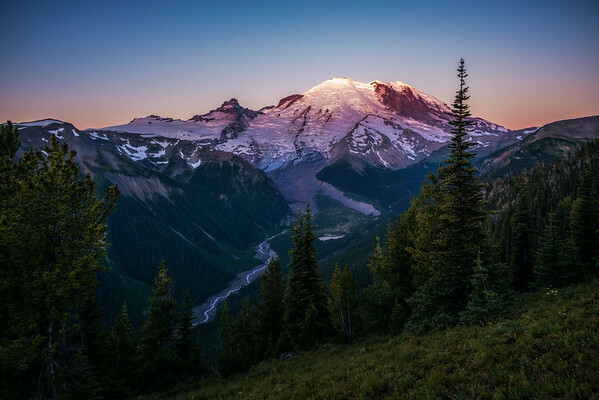 A beautiful and quiet Autumn afternoon spent on the Pacific Crest Trail in Mount Rainier. 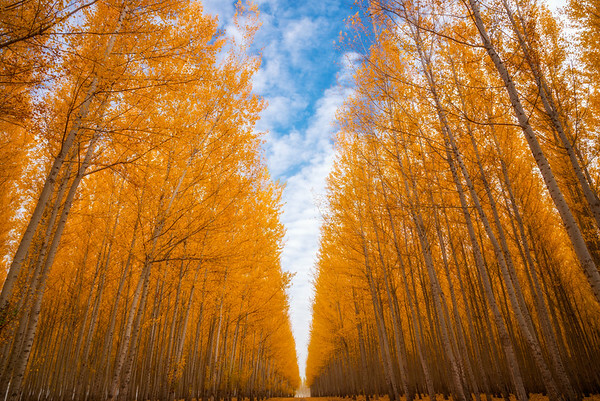 Looking down a row of Poplars at the mesmerizing and bewildering Boardman Tree Farm in Oregon. The Fall season is absolutely spectacular in this area and certainly should be on everyone's list, especially before the land is sold. 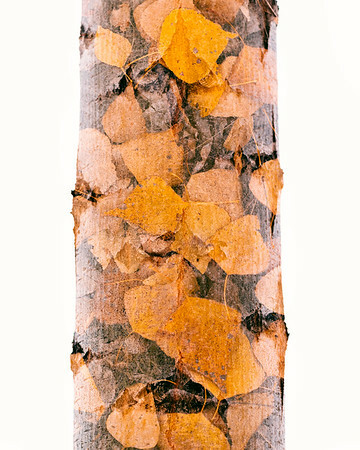 In-camera double exposure of a Poplar tree with fallen Poplar leaves at the Boardman Tree Farm in Oregon. 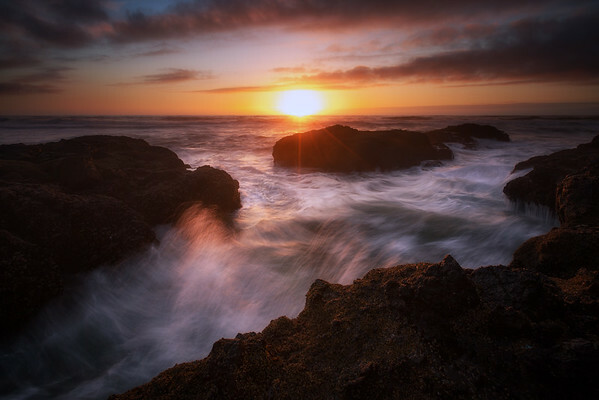 This is an image from a couple years back on the Oregon coast at Cape Perpetua. 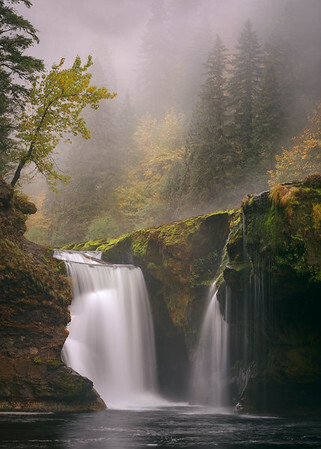 I was in town for work but came a week early to explore and photograph all over the state. I had put 3,000 miles on a rental and drove around with cloudy grey skies almost the entire trip. This was the last free day I had and the last location I would photograph before work started the next morning. I'd read a sign about shotgun waves and being sure to stay alert and aware near the edge. After watching the waves crash in and move out for a few minutes I decided to push my luck and get closer and closer to the rock's edge. Of course, in Mother Nature's pranskter fashion,once I got as far as I felt comfortable going she managed to douse me with a wave about 10 minutes after this shot was taken. It fell down on top of me with such force that I remember the salt water stinging the inside bottom of my eyes and standing there drenched head to toe. Without a rain cover for the camera, I managed to completely soak it and the lens. After I regained my composure and counted my blessings, I dismantled the gear, which was already acting twitchy and ran back to the car, cursing out loud the entire time. 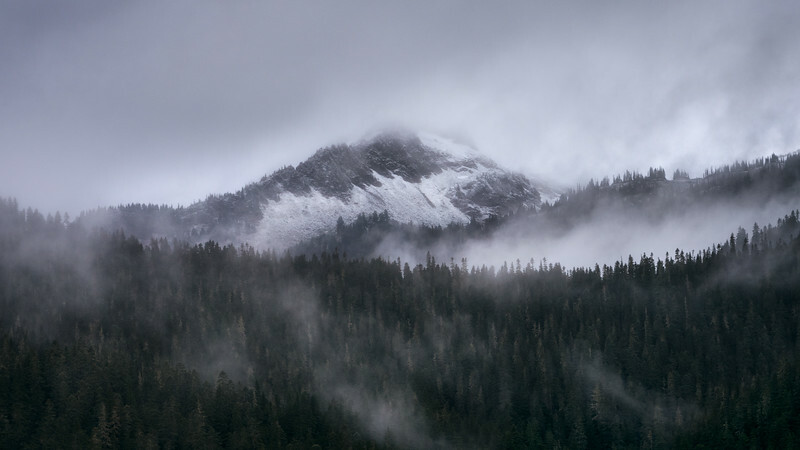 With the camera and lens on the dash with the defroster blasting, I drove to the nearest grocer for ziploc bags and rice. After a week of leaving the lens and camera untouched in the rice, I was able to save the camera but killed the autofocus on the lens. I couldn't believe it actually worked and it saved me so much money in the long run. It led to an already mounting fear of water but also reminded me to enjoy nature from a safer distance. Well, not too safe of course. 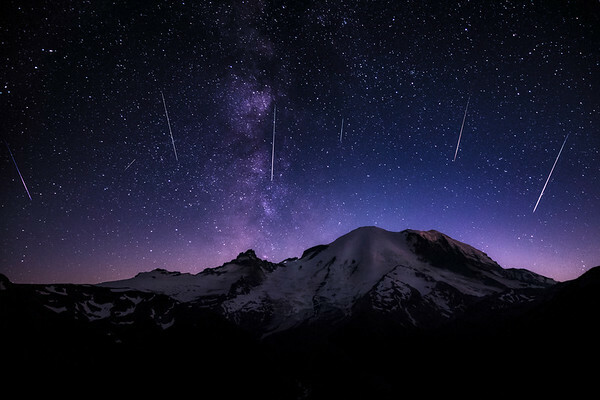 I should have made a ton of wishes the night of the Perseids meteor shower but instead I just stood their in amazement, staring up waiting for shiny objects to pass by while trying not to slide down a cliff edge. We were able to see 40+ meteors through out the night, many of which weren't actually captured. This is a composite of images spanning about two hours and containing seven meteors. A beautiful clear evening spent photographing the Perseids meteor shower turned into a lovely clear morning spent photographing the sunrise above the White River Valley. 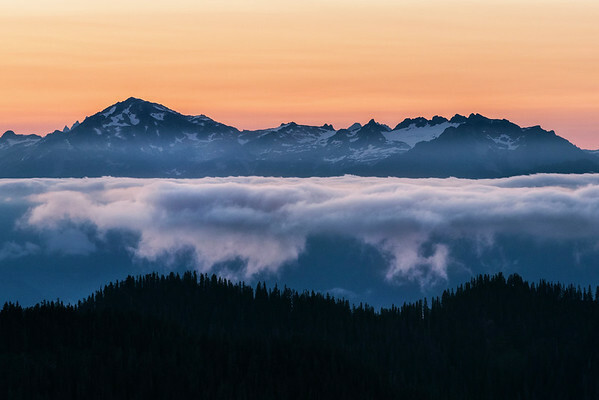 Gorgeous layer of inversion fog settling in the North Cascade Range during dawn on a recent camping trip. Elevation provided us a great opportunity to see above and below the layer.